THE MUNDAY BED AND BREAKFAST: is perfectly situated in the tranquil up market residential suburb of Bedfordview, Johannesburg. The only entrance to this peaceful Estate is through three controlled, secured boomed-off Gates with CCV Cameras and guarded 24 hours, creating a peaceful environment in this residential Estate of Bedfordview. Very close to Four Shopping Malls, 42 fine restaurants surrounding our establishment walking distance of 100 meters to the famous Bristo. Walk to the Malls 10minutes. Glendower Gold Club (Bedfordview and Edenvale) Observatory Golf Club. Hospitals NETCARE BEDFORD GARDENS CLINIC and NETCARE LINKSFIELD CLINIC and doctors are around the corner. Ellis Park 50 meters Swimming Pool host many training and swimming competitions. 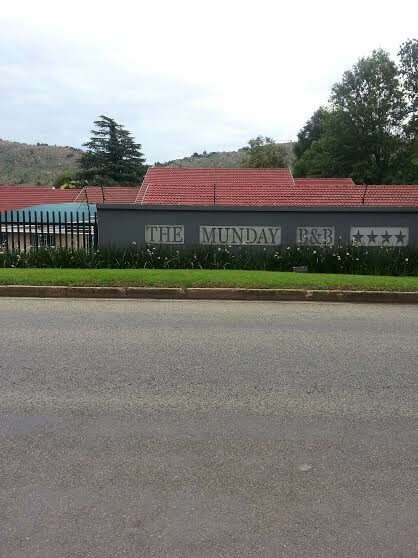 We also have easy access to all major highways 100 meters away. GUESTHOUSE: 4 luxurious bedrooms, newly renovated with beautiful en-suite bathrooms. Each guest is given their own remote control as there is ample secure parking for all our guests. Sit back and relax on the veranda and enjoy the beautiful view of the Gillooly's Mountain. We offer a true home away from home experience. We cater for both business executives and leisure travelers alike. Guests are provided with an array of business services and facilities.